Thirty-four consonants between them! That’s what we’re talking about in the long-anticipated Battle of the Consonants between Samuel Isaac Joseph Schereschewsky and Nikolaus von Zinzendorf. You have 24-hours (or 10 fewer hours than consonants) to decide this tongue twister of a matchup. With only three battles left in the Round of 32, we will be kicking off the Saintly Sixteen on Thursday. The field is narrowing, folks! In case you missed it, on Friday Scholastica schooled Macrina the Younger 64% to 37%. But that’s old news. So let’s get on with it, shall we? But first, check out this article about Lent Madness written by Emily Miller of Religion News Service that made its way into various secular newspapers over the weekend. Oh, and we challenge you to write a limerick based on today’s matchup. Just because. Leave your best attempt in the comment section. Born in Russian Lithuania in 1831 and raised by his half-brother, Samuel Isaac Joseph Schereschewsky was groomed to become a rabbi. During his theological education, he received and read a copy of the New Testament in Hebrew. Becoming convinced of Christ’s divinity, Schereschewsky moved to Germany to continue his studies of Christianity and theology before ultimately immigrating to the United States in 1854. He celebrated his baptism as part of a Baptist worship community in New York the following year. After falling in with the Baptists, he felt led to investigate the Presbyterian experience, and eventually made his way to the Episcopal Church, enrolling at the General Theological Seminary in New York City. In 1859, Schereschewsky offered himself as a missionary to China. The Foreign Committee of the Episcopal Church agreed to his proposed mission and consecrated him a deacon, and Schereschewsky jumped a steamer to Shanghai. Schereschewsky was a stone-cold genius with language—to call him a polyglot is an understatement. By young adulthood, Schereschewsky could speak Yiddish, Hebrew, German, Polish, and Russian with absolute fluency. When he arrived in China, he began translating the Bible into the vernacular of the people to whom he was ministering. Once the Bible was translated, he also translated The Book of Common Prayer into Mandarin. Schereschewsky’s ministry in China was so vibrant that the House of Bishops called him to serve as Bishop of Shanghai in 1877. Schereschewsky fell ill after arriving in China. A degenerative neurological disease resulted in the resignation of his episcopate in 1883 and his return to the United States. Schereschewsky spent the final years of his life entirely paralyzed, except for one finger, which he used to painstakingly type out his translations of the scriptures. These translations were so accurate and understandable that they are still used today. By the time of his death, Schereschewsky had translated the word of God into Mandarin, Wenli, and Mongolian, as well as compiling a Mongolian-to-English dictionary. 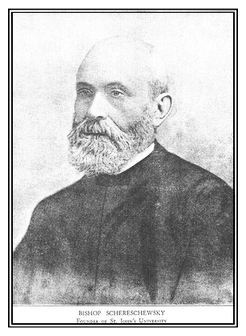 O God, who in your providence called Joseph Schereschewsky from his home in Eastern Europe to the ministry of this Church, and sent him as a missionary to China, upholding him in his infirmity, that he might translate the Holy Scriptures into languages of that land: Lead us, we pray, to commit our lives and talents to you, in the confidence that when you give your servants any work to do, you also supply the strength to do it; through Jesus Christ our Lord, who lives and reigns with you and the Holy Spirit, one God, for ever and ever. Amen. Nikolaus von Zinzendorf was a German poet, preacher, hymn writer, theologian, religious leader, and bishop. The phrase most closely linked with Zinzendorf is Unitas Fratrum or Unity of Brethren. The words have been associated with The Moravian Church since its inception. 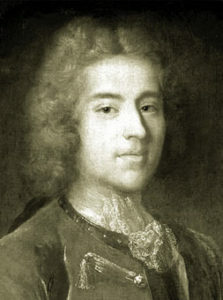 Born into one of the great noble families of Austria in 1700, the young duke took a great interest in theology and religion. In 1716, he began his study of law at the University of Wittenberg in preparation for a career in diplomacy. Three years later, Zinzendorf departed the university and traveled throughout Europe. Upon acquiring a Saxony estate, Zinzendorf allowed the religious group Unitas Fratrum to settle on his land. There, the Moravian Covenant for Christian Living was born, reflecting a rich liturgical and devotional life. Zinzendorf said, “All of life becomes a liturgy, and even the most mundane task can be an act of worship.” Unitas Fratrum became the Moravian Church. Zinzendorf was ordained a Lutheran minister in 1735 and consecrated a bishop in the Moravian Church in Berlin two years later. Regarded as a strong leader, Zinzendorf dedicated his personal funds and fortune to the work of the church, becoming a staunch advocate for ecumenism. In 1741, Zinzendorf and a group of companions arrived in the American colonies to minister to the Indigenous population and German-speaking immigrants. Inspired by their Christmas arrival, the missionaries named the new settlement Bethlehem. Zinzendorf preached the gospel to everyone he encountered—free people, indentured servants, slaves, and Indigenous peoples—including leaders of the Iroquois Nation, Benjamin Franklin, and other notable leaders in the colonies. God of new life in Christ, We remember the bold witness of your servant Nikolaus von Zinzendorf, through whom your Spirit moved to draw many to faith and conversion of life. We pray that we, like him, may rejoice to sing your praises, through Jesus Christ our Lord, who lives and reigns with you and the Holy Spirit, one God, now and for ever. Amen. 263 Comments to "Joseph Schereschewsky vs. Nikolaus von Zinzendorf"
Somebody please tell us how to pronounce the names of both candidates. The pronunciation of Zinzendorf is straight forward. To greatness in spreading Good News! Barrett, You should receive the “golden halo” for limericks written in honor of Lent Madness! Barrett, that is really good. I write poetry all the time but still I didn’t want to take on the challenge of writing a limerick. Another difficult decision, however I was somewhat biased by the fact that I am 1/4 Lithuanian Jew, so I voted for Schereschewsky. apt reply to a wonderful limerick! Wikipedia says that the pronunciation of Schereschewsky is (skĕr-ĕs-kūs’kĭ). and Paderewski (as in the great pianist)–Paderefski. The w is somewhere between f and v.
Laura, I’ve always pronounced it “Share-uh-SHEV-skee”. “Samuel Isaac Joseph Schereschewsky Bishop of Shanghai” (all in one breath) has a music all its own. Tune: St. Thomas (Williams) Hymnal ’82, 524 I Love Thy Kingdom, Lord. Whose names we cannot spell. And pledged his life thereto. There was a rich young man. Who could have power too. To love his whole life through. We need to sing and praise. This. Is. Awesome. Brava! Brava! Mary, I totally agree! Limerick schmimerick–Diana is surely the poet laureate of Lent Madness! Hi, Doris! Good to see you here. Did Bill get you hooked? Very creative and meaningful. You are a talented poet. Thank you. You win the golden laurel crown of the poets, for sure. These keep getting better all the time! Gretchen, I am geographically humbled by your accuracy. In my own defense, it was very early and I hadn’t had my coffee yet. Thank you for pointing out what any fifth grader should know. But I still can’t decide who should get my vote!! Wow! This is fantastic! Well said. I voted for the Moravian because I love their music written here in America patterned after the music of Haydn and Mozart. There are some wonderful songs. This is excellent, thanks uou! Diana – you’re the BOMB! Love this one. Diana, you are amazing with that. ! Schereschewsky is my man. He is the absolute exemplar of dedication and perseverence. I am impressed by Schereschesky’s language abilities, but I admire Zinzendorf’s ecumenism, and how he spread the word to everyone he encountered, regardless of their stature (or lack thereof.) He was someone born of wealth and nobility who put used that status and those resources to bring the love of God to everyone he encountered. I also have always been a fan of the Moravian common table prayer. Nikolaus gets my vote. Me, too, for the same reasons. i agree Chris and cast my vote for Nikolaus and also for the great Moravian tradition of music. He hasn’t got a hope , I fear but I persist. I love Lent Madness! Do you know why the Moravians (a small European denomination) could put together one of the most massive missionary endeavors this continent has ever experienced and still we see so few Moravian churches to show for it? They did NOT come to build Moravian chucrhes but to support those that already existed. Maybe you and I are among their benefactees. I think I’ll go with the Count! Oh dear! A tricky one. I was all for Joseph right up until the grace by Nikolaus… that is the first prayer my kids learnt. Really hard choice for me, but Joseph traveled so far spiritually and physically and struggled so valiantly so I voted for him. I, too, struggled to choose among such inspiring saints, but finally decided Joseph had given so freely of his life and talents that I had to vote for him. The consonant matchup? Oh gee. They’re both men of valor to me. So I voted for Nicky von Z. Wonderful limerick with a clear explanation! Count Zinzendorf and the Moravians established missions to slaves in the Caribbean . A genealogical mystery seems to point to a Moravian connection with my unknown slave ancestor. Zinzendorf could literally be the reason my people became free. My vote is for him. Had to vote for Nikolaus. He gave refuge to the persecuted and used his wealth and status as a noble to further ecumenism at a time of religious bigotry. The Moravian church’s ministry to the marginal (at that time, indentured servants, slaves, Native Americans) caused deep suspicion among their neighbors. They were expelled from New York and found safety in Pennsylvania. So, Nikolaus has to get my vote. I’ll wait for the counsel of comments on this one. Happy Spring every one. What an amazing man. I can’t resist a “polyglot,” or “polymath,” as I have been corrected to say. I’m thankful that our church has been blessed by someone so dedicated. I’m voting for Joe. The Moravians’ calmness on a ship during a terrible storm in the colonies greatly impacted John Wesley who was also on the boat. A quiet devotional life–such as that practiced by the Moravians–provides a haven in today’s storm of bombast and attack and controversy. I am deeply grateful to Mr. Z for his support and commitment to this way of religious life. From deacon to bishop, Joseph has my vote. Well, since Scherechewsky was the patron saint of the old St. Sam’s e-list, I feel obligated to vote for him. Plus, of course, the fact that anyone who would type out the whole Bible with one finger deserves every saintly honor available! Growing up near Bethlehem, PA, I had to vote for Nikolaus. When I was in seminary one of the ritual hazings was requiring students to officiate at sung Morning Prayer, whether you could sing or not. I couldn’t. On my assigned day, not only did I have to sing, but I had to sing the collect of the day for Samuel Isaac Joseph Schereschewsky. The full name had to be sung. Despite the fact that he was part of the instrument of my torture I cast my vote for him, in memory of not so great times in my seminary days. Ritual hazing for those who had to listen also. Well, it stretches one’s comfort zone. Both great men; I admired the tenacity of Joseph however I have always admired the outreach of the Moravians to the North Circle as well as the equator. The table prayer was the clincher which I was not even aware of even though I grew up in the largest Moravian settlement west of the Appalachian Mtns. I had to go with the linguist – what faith to keep typing with one finger. But there is a soft spot in my heart for the Moravian grace. We said that grace when I was a girl. I always thought it was Lutheran. I voted for Joseph, though both men were worthy. But I am also impressed at Diana’s ability to write a complete hymn about the two of them so early in the morning. Well done! Wow this was hard. I actually researched a bit more on each of these gentlemen. What swayed me was a quote was supported by the Moravians. Keifer noted too, Bishop Schereschewsky has been chosen “patron saint’ of the Anglican internet mailing list, sometimes known as the “cyberparish of St. Sam’s”. Von Zinzendorf, because I’ve seen the light! Go! Z. Moravian Sugar Cookies for the win, Clemmons, NC. Hope they are back at the NC State Fair this year! A friend sent me a canister when Daddy died & I could practically taste the prayers & comfort. I was all set to give my vote to Schereschewsky and his determined finger. However, I saw Zinzendorf was responsible for the common table prayer my family has recited for 100s of years. Viel Glück Zinzendorf! From China to the U.S. quietly, no houls. “A” for effort! That is strenuous. Truly hard vote today – both were stellar witnesses in their time and their field in ways that resonate very strongly with the heart of the Episcopal identity. I ultimately went with SIJS because of the seeds planted in China that continue to endure despite all efforts to the contrary, even though I love NVZ’s piety and theology as well. And for the shallow reason that SIJS is a fellow GTS alum . . . Guess I’m in a Zinzendorf frame of mind on this Monday morning. All weekend I expected I’d vote for Joseph, but when it came time to push the button, Nick it was. The first prayer I learned as a very young child was the Moravian Table Grace in Kindergarten. It is the one my entire family has used for years. Nice to find its origin. My godmothers’ mother said a variation of it before every meal, and all her family remembers her with much love. Nevertheless, I voted for S.I.J. S. because of his translation typed with one finger. Talk about making the most with the abilities we have! My weekdays no longer are aimless! I’ve been a fan of Scherechewsky for years, and won’t desert him now, though von Zinzendorf’s bio was compelling. Plus, my former colleague and early Celebrity Blogger Neil Alan Willard+ has Moravian roots–that nearly tipped the balance, but the brave linguist still got my vote. Loved the one about game of Lent Madness by D. Dorothee. Super! What a tough one! But I have a soft spot for the Moravian. Having lived 7 years in Allentown, part of the Diocese of Bethlehem, and serving on one of the Moravian Cursillo Weekends, I came to admire and love the Moravians, their history, and their practices. Were it not for Zinzendorf’s influence as he sheltered them on his estate, there might be no Moravians because they were threatened by the hierarchical church at that time. Very nice, Patricia. I’m inspired that the simple and honest act of faith by a single person can have immense implications. Just wow! To read is everything, so I had to go with the Jewish Russian Episcopalian Bishop Missionary Translator who was eventually paralyzed and suffered greatly. Nothing against the Moravians here in Pennsylvania! Could smile on poverty and pain and triumph e’en in death. Thus in this evil world they led a life of pain and woe. Can build an ark, or smooth a wave for such as fear His Name. We shall ascend the rugged hill and conquerors prove at length. While Zinzendorf blessed every feast. To greatest as well as to least. I love this limerick, Sue. I first became acquainted with Samuel Issac Joseph Schereschewsky while with graduate school and doing research on the work of missionaries in China. His name just resonated with me, so my vote today has to be with our China missionary. I am impressed with the language abilities of Joseph Schereschewsky, most of us have some difficulty with “proper” English and most of us use the common phrases that even newscasters have adopted. At one time we could depend on them for accuracy. But the thing that impressed me the most, as I was born without patience, was the tedium of translating all those works with just one finger ! Long live Joe !!! who traveled upon many continents. Their many and awesome accomplishments. “A” for effort! Such rhymes to wrestle with! As a Methodist, I had to vote for Zinzendorf. The Moravians had an enormous influence on John Wesley’s life and the Methodist movement. Today in the Moravian church in Herrnhut, Germany the busts of John Wesley and Nicholaus von Zinzendorf are displayed side by side. Translation has been a big theme this Lent Madness. While I admire SIJS’s panlingualism, I am touched by the Moravians’ seemingly Romantic approach to spirituality: communalism and simple evangelism through preaching. I was reminded of the medieval “hedge preachers.” There was a thirst for sharing good news, and we today so terribly need some good news. I couldn’t walk away from “rich liturgical and devotional life.” Also the collect speaks of “conversion of life.” These seem profound themes. I was curious: aren’t “Moravians” Czechs? And why were they seeking help in the German states? Was this all the Holy Roman Empire at the time? Von Zed was Austrian. It made me think that perhaps the flux of political boundaries allowed for openness to others. Possibilities opened not closed . . . The story I remember is that the original Moravians were Czech, but things really took off when Zinzendorf got involved. I think you’re right, though, about the fluidity of borders in that area. My husband’s Moravian ancestors were from Alsace-Lorraine, and that region is a classic example of border backgammon! The Unitas Fratrum were followers of Jan Hus, who was burned at the stake for heresy. After his martyrdom, they had to flee what is now the Czech Republic (and then was Moravia), so it was life-saving when Zinzendorf received them on his estate. As someone who supposedly has Moravian ancestors and was brought up Methodist (the bio didn’t mention that John Wesley traveled to Georgia with a group of Moravians and later had his heartwarming experience at a Moravian service in London. ), I had to go for Zinzendorf. However, as an ESOL teacher, I am drawn to Bishop Schereschewsky who is a favorite of my older son’s godfather. This was an extremely difficult choice for me, but Schereschewsky it is. The last time he appeared in Lent Madness I was amazed by his life story and disappointed he didn’t make it any further than he did. As someone who works in support of Bible translation myself, I greatly admire his dedication. to seek assistance from Count von Zed. so souls in the good news were fed. Nic nixed his life as a noble. His Unitas Fratum went global. So go Joe, on laptop or mobile! Hard choice as a Maryknoll Lay Missioner since both were mission oriented people. But since Joseph went to China, where the first Maryknoll Missioners went, I chose him. Nice thought, Debbie, but I cast my vote for Zinzy. This was much harder than I thought it was going to be. Zinzendorf had the Moravian Church, Mohicans, Dutchess County (land of my ancestors), his usage of his privilege for the good of others, and Bethlehem PA (birthplace of my mother) on his side. But Joseph Schereschewsky’s story was powerful and several sources attribute his paralysis to Parkinson’s and so—in honor of my grandfather who has Parkinson’s—I went with Joseph. Grace said by my grandfather William Reid, learned from the Moravians in Winston-Salem. I say it to his great great grandchildren! Hello, fellow Moravian from North Carolina! I’m from Winston-Salem; my husband’s family is from Pfafftown. This was a hard one for me but I had to go with Joseph in honor of my dear friend who was disabled by a stroke. I wondered if it was ALS? I voted for Joseph because of his great devotion to the Chinese people’s and to the tracks nslating of the word for them. Voted Joseph S. for his amazing translations and mission work. Also love the faith and work of Nik Z., the Moravians connection to John Wesley and especially his grace: “Come Lord Jesus, be our Guest and let thy gifts to us be blessed.” Too bad we can’t move them both forward in the brackets. Between the Moravian influence on John Wesley (I am United Methodist), and the ability to see all of life as liturgy this was a no-brainer! Not to diminish the contributions of Schereschewsky , but if your name is that long, you’ve probably had so much practice typing that typing with one finger is more possible than with a name of a more normal length! In awe makes me linger. He persisted! And that makes me glad. By the way, where is Oliver? “like” Extra credit for topical sub-tweeting. But the former gets my vote, OK?! This was a toughie. I wished I could vote for both, but as a Pennsylvania Dutch girl, I had to go with Nikolaus. Not only did I grow up near Bethlehem, but my German ancestors arrived in this area just 9 years after Nikolaus. I don’t know much about them, but it’s fun to think their lives may have been influenced by his work! Von Zizendorf for me. I am from Baltimore. Anything Unitas is sacred. Johnny U did a lot for Sundays in our town but not until 2PM. No Colts home game could start before that time so fans church service schedules could be accommodated. Having grown up in Baltimore as well, one of my earliest memories was eating at the Johnny Unitas Golden Arm Restaurant. Remember that place? Two great men. Another tough one. I love learning about all of these Saints of God. I loved reading about the Moravian Church – “In essentials, unity; in non-essentials, liberty; and in all things, love.” My grandmother came from Bohemia, also. I vote von Zinzendorf. I think that church would have died out completely if not for him. Of course, when I was very small, I thought we were praying for “these gifts bestoved by thee”! Huzzah, recipes! I missed the saintly snackings this year since no recipes were included in the Saintly Scorecard. Thank you! My pleasure! If you want to go a little easier, you can use frozen bread dough for the sugar cake. I confess to doing this many a Christmas morning!! Thank you for the recipes, Susan. I will make the Moravian sugar cake in honor of you. There is actually a Moravian church in Atlanta…I was raised in it 🙂 VOTE ZINZENDORF!!!!! Again! These 2 were a tough choice. Although I voted for Nikolaus von Zinzendorf I felt strongly for both their dedication to spreading the word of Christ. Although I felt Joseph Schereschewsky was dedicated to his cause of making the bible accessible to those who were considered “lesser” human beings, and was a prolific translator, Nikolaus got my vote for his dedication to spreading the works of Christianity to the American second class citizens (free people, indentured servants, slaves, and Indigenous peoples). GO NICK!!! Typing a translation of the Bible with one finger and the rest of your body is paralyzed. Samuel Issac Joseph is not a Saint. He is a Miracle. My vote is for him. The Church in China is undergoing explosive growth and in a few years it will be the largest Christian country in the world. Schereschewsky’s translations are still in use. That’s a lot of impact from one finger! He was also the founder of St. John’s University the most important university in Shanghai in the early 20th century. That causes a difficult striction. When words I must type. Why must I endure this condition? Well, it’s close. And Joseph got my vote! As a graduate of Salem College located in Winston Salem, North Carolina, I went for Count Zinzendorf. The college is Moravian by heritage and students are introduced to all things Moravian during their time in Old Salem. It is a beautiful gem of a campus located near the Moravian archives and other historical buildings. If ever you are in Winston-Salem NC you will easily be enveloped by Moravian History. Pennsylvania, Moravians, Bethlehem, Peeps. It’s Zinzendorf for me. This was way harder than I thought. But, in the end, I had to go with Samuel. For persevering to the end, even with only the use of a finger, but also because the day he’s remembered is also my birthday, and I’ve had a soft spot for him ever since learning that. Another great match-up. It would be inspiring to see either of these names on the 2017 Golden Halo mug. I ultimately swung into the Zinzendorf camp for the ephemeral and almost incidental reason that Moravians love of God and love of music forever go hand in hand. Now Shereschewsky and Zinzendorf for a halo contest! China is my second home. No contest for me. so amazing the languages he knewsky! but he never experienced sushi! Much to admire about Zinzendorf — I spent the past ten years living just south of Bethlehem and getting to know the Moravian Church. But Samuel Isaac Joseph Schereschewsky (whose name is just way too fun to say!) travelled so far and accomplished so much. After translating Scripture into two Chinese dialects and Mongolian, he spent his final ten years of painstaking ministry in Tokyo, and also translated the Bible into Japanese! Hard matchup, but I just had to pick him. Both men have given the world so much. I was especially moved by Joseph’s commitment to continue on in spite of a major physical challenge. There are others like him who have given the world so much when it would have been easy for them to give up: Christy Brown, Joni Eareckson Tada; Stephen Hawking, etc. Each ministered in different ways. But remaining true to Jesus and God was the gift both men gave to the world. Another tough choice. I found both men bold and inspiring, but finally settled on Joseph. His language abilities helped bring the Gospel to those in their own words. Never underestimate the power of the Word! Wow, Schereschewsky served God with one finger way more than I do with 10! What an amazing man! Two Bishops did battle on Monday. More letters than anyone can say. Zinzendorf to all he sees. Their work and words showed all folks the Way. Had to vote for Schereschewsky, my grandparents were also missionaries in China. They translated the Gospel of Luke into Lisu language. But both candidates were outstanding, as often happens in Lent Madness. I voted for Joseph because of his hard work in Language and spreading God’s love to countries where God was not widely accepted. How many people would persist in their work after being totally paralyzed? Joseph’s journey makes me aware and ashamed of my complaining!! These names look like they come right out of Harry Potter!! Had to vote for Schereschewsky since I was ordained to the priesthood on his feast day . It’s not every day you get to see the word vernacular, and today is the Vernal Equinox. Random thought: I wonder if vernacular-vernacularism-vernal-vernalize-vernation can be found in Joseph’s Mongolian-to-English dictionary. Vernare – to behave as in spring. Today was a tough choice and not only because of pronunciation of names. Awesome saints, both challenging to spell. I had to go with Bishop Joseph – I too was brought up in a Jewish family, although I don’t think anyone had plans for me to become a rabbi, just a nice good Jewish girl. Thank God He had other plans so I ended up a nice (and hopefully good) Episcopal priest. Continuing to serve God with your last movable finger vs worship in the most mundane tasks. A tough choice today but I am voting for Schereschewsky. Tim and Scott, I beseech you: Take pity! That quote, about even the most mundane task becoming an act of worship, is SO inspirational, I am going to put it up on my wall. That said, though, I did vote for Joseph., not Zizendorf. (Notice I didn’t even try typing out Joseph’s name, much less attempt a limerick!) Joseph’s conversion, his genius for languages; (prime example of God giving a,talent so it could help others,) and, most of all, Joseph’s dedication–his translating the Bible with ONE FINGER WHILE TOTALLY PARALYZED is ONE OF THE MOST INCREDIBLE THINGS I’VE EVER HEARD OF. Deeply moved by this, I had to vote for him. I am sure, for his dedication, he is running all over Heaven now; walking, hang gliding, exercising, eternally free!!! Samuel Isaac Joseph Schereschewsky gets my vote. I have a son with a neuro-muscular disease that has affected his ability to work full-time at his chosen profession, and yet continues to work in the vineyard of the Lord. Zinzendorf, only because in his fancy duds he’d look so much better wearing the golden halo than the somber missionary. My vote today was MADingly clear!!! Must confess prejudice. Pre judging before reading about Schereschewsky, whose life is also worth honoring. My years of meditating on Zinzendorf’s writings, and the fruits of the Moravians has warped my spirit. To him languages were not pesky. He used his one finger to press keys. who to a model Christian did morph. Preaching from the moment he landed on the wharf. Oh and I went with Schereschewsky, because if the pronunciation is right he actually was easier to rhyme with. Plus you know, that whole language and one finger thing. Of Jesus with Whom our hearts linger. And sisters in Christ; preached to others. Fellowship and food at Grandmother’s. Love the Limericks. It is unclear to me how I ever did Lent without this wondrousness. Joseph Schereschewsky: Baptist to Presbyterian to Episcopalian. How I not vote for him. Jew to Baptist to Presbyterian to Episcopalian! As a fellow convert from Judaism to Christianity (although without the good bishop’s peregrinations), I had to vote for Joseph Schereschewsky. My family still prays the prayer by Nikolaus von Zinzendorf, so I had to go with him. For me, this was a hard one – both men contributed so much to the faith of so many. Loved Nikolaus’ observation that even the most mundane task becomes worship. I was undecided until reading the comments. I have admired and even preached about Samuel Schereschevsky for years. In incomparable genius in language, with a heart for the gospel and evangelization. Am having an impossible time choosing between these two. On the one hand, how can I fail to vote for the Episcopalian and on the other, how can I fail to vote for the one whose life most resembles how I believe daily life should be lived? Some help please? The Episcopalian translated scripture & the BCP, typing mostly with ONE FINGER. That is ah-mazing to me. I must urge a vote for the Rt. Rev. Samuel Isaac Joseph Schereschewsky! Once more, as so often, I go with a loser and a hymnist (though not a musician). Zinzendorf’s work does not occur in Hymnal 1982, although Hymnal 1940 has “O thou to whose all-searching light” and “Jesus, lead the way”–neither of which registers in my failing memory of the time before 1982. I often wonder at the infinite wisdom of hymnal revision committees. I also found two entries for Nicolaus von Zinzendorf in the 1978 Lutheran Book of Worship: titles of “Jesus, still lead on” (# 341, familiar tune Seelenbrautigam + umlaut) and “Jesus, your blood and righteousness” (#302, familiar tune, O Jesu Christe, ,wahres Licht). One newer hymnal since 1978.
wow! We certainly have some talented limerick writers! And witty! This was very hard for me – they both are amazing! I finally decided on Zinzendorf and has been the case of late – I am again in the minority. Love this opportunity to read, share and discover more about these leaders! Very hard choice. However growing up Lutheran the Zinzendorf prayer was always said. In German However it was slightly different. “Come Lord Jesus and be our guest and bless this food which Thou hast given us. ” Amen. During my misspent youth i spent some time taking bibles into China so how could I not vote for the remarkable dedication of Joseph Schereschewsky. Today, flummoxed as usual, I voted for courage, stamina, intellect and extraordinary hard work, over hospitality, gentleness, peace and delight. Luckily, in our life of faith we don’t have to choose one over the other. Both are needed in our work and witness, as I imagine both of today’s saints would readily agree. As someone of mixed Jewish and Christian heritage, and having spent much of my professional life at a keyboard (using more than one finger, fortunately), I must vote for Schereschevsky. Plus, I love a polyglot. To learn that many I aspire. But at 75, my brain has turned to brick. Amazing that a Mormon news service would pick up Lenten Madness. They own RNS? Or are you speaking of another news organization? The poetry and limericks were simply too much – I wasn’t able to vote until later today than I normally do (first thing in the morning) and was amazed at the great skill of our many poets and the witty limericks – does this mean that there will be an additional contest this year for the best of the limericks? Or perhaps and edition of Lent Madness poets, humorists, and kooky limericks – could be a best seller. By the way I voted for Joseph. I have trouble typing with all ten fingers, can’t even imagine doing what he did with one finger. Commit your life and talents too, be dared. Travel in the days of both Shereschewsky and Zinzindorf would have to have been horrendous. Both of these saints deserve a vote, but I am with Shereshewsky since he ventured into the unique culture of China and put his language abilities to use promoting the word of God. Schereschewsky and Zinzendorf no less. Who will win? One or the other I guess. Excellent! And your choice for the winner will be 100% correct, for sure. We won a convert today! “You mean saints have brackets, like March Madness?” Why yes, yes they do!! I might add this was part of a discussion about St Gertrude the patron Saint of cats and gardeners. Perchance she might be included next year as she brought yet another soul to our cause. R U listening SEC??? Zinzendorf is awesome. He opened his estate to religious refugees, cool. He was one of those rare rich men who seemed to get through the eye of a needle, stamina and determination and sincere love for Jesus, cool. His legacy is really inspiring – for those who finally decide that with Jesus, your all in or your sitting on the bench and just being ridiculous. The Moravians are an interesting lot in terms of how they behave. I could definitely benefit by adopting their standards. Schereschewsky – a Jew who came to follow Jesus after an honest and careful study. Wow! A seeker. He toured the faith through the Baptists, the Presbyterians (attended seminary at Tim Keller’s Alma Mater – Western Theological Seminary combined with another to become Pittsburgh Theological Seminary in 1959), and finally the switch to Episcopalian. I really respect this man’s seeking – he found Jesus and then he kept moving until he found the right faith culture. One amazing thing about this dear man that got left out – after his terrible diagnosis and paralysis issue unfolded and he returned to the US for treatment – which proved pointless, he returned to Shanghai to live and work along with his wife. WHO WAS THAT WOMAN, AND WHY ISN’T SHE CONSIDERED A SAINT???? I’m so thrilled to come to know these lovely Christians and am challenged by their fortitude and vision. Thanks Lent Madness. In the battle of the consonants I cast my vote for Joseph Scherechewsky tho’ my preference was based on whimsy: as a collector of older printed dictionaries and grammars (mainly 19th century) I would love to have his Mongolian-English dictionary in my library. And while Nikolaus von Zinzendorf’s practical Christianity appeals to me, I find his writing so the peasants would understand him somewhat condescending. BTW our celebrity blogger, Neva Rae Fox, has inadvertently promoted this count (Graf) to a higher grade of nobility, duke (Herzog) than he ever held. He was not then, nor has he ever been, a duke, but tho’ merely a count, Zinzendorf was certainly not a no-account count. Limerick to follow! Schereschewsky has not a z in his name so my love of the letter z wins the day, if only for me. Actually it was his respect for “ordinary time” that won my vote. Everyday living is liturgy. No arm so weak as may do service here…. God bless Joseph’s heart, brilliance, and commitment. A witness for us all. Yes! Where are the Archbishops? Indeed! Has Maple Anglican forsaken us? Named Zinzendorf is today’s bestie. And the Gospel thus spread for eternity. So today we say vielen dank for his efforts. Schereschewsky has always been one of my favorites, I love his ecumenism & his willingness to spend his one usable finger translating the Scriptures. However, I loved the information on Zinzendorf & I’m thrilled about his comments on the importance of liturgy. Wow! This was a tough call. It was the table prayer that put me over the line. Maybe not logic, but it was that or a coin toss. I have not been able to rationalize picking by “gambling”. So maybe Schereschewsky next year? BTW, I just took a look at the article on Lent Madness (or rather on all Lenten brackets–and who knew sports did this as well? ), and I call to your attention the remark about our own “unusually uplifting comments section.” Well done, Xian bloggers. It is nice to know from whence came the table grace we use. My mum’s family was German Lutheran and still is. She came over to PECUSA in college. So my vote is for Schereschewsky. For the “grace” and “life as liturgy”. If I had an emoji in this app, I’d give you a fist pump for that. As a foreign language teacher, to the polyglot and translator goes my vote! I knew Les and Mary Fairfield in their retirement at Grace Church in Amherst, MA. How lovely to see him remembered here, and makes me even happier that I voted for Schereschewsky! A hard choice. I was more attuned to the translator and voted for him, but the nobleman impressed me as well. I need to learn more about the Moravians. I thought I had posted a limerick, but guess I hit the wrong button. It’s sure hard to pick. To learn that many I do aspire. But at 75, my mind is thick as a brick. Wonder if these two men would find the limericks humorous. I voted for Zinzendorf because he was an ecumenist who lived in a rather non-ecumenical era, because of the strong influence that the Moravians had on the ministry of John Wesley, and because of the strong Moravian presence in the area where I was an undergraduate (Lafayette, in the Lehigh Valley of eastern PA). Nevertheless: Nightingale for the Gold, Jägerstätter for the Silver. Bob, I understand your reservations about putting Schereschewsky up as a role model, but this is Lent Madness, not an interfaith activity. LM’s stated purpose (learning about the saints) is Christian and the vast majority of it’s participants are Christian. So I think it’s highly appropriate that we put Schereschewsky up as a role model. That being said, I voted for Zinzendorf, as you did. Had to go with Joeseph for all that work on translating, especially while fighting and losing control of his limbs. What agonizing choices you force us to make! I love both these great saints. In the end I voted for Schereschewsky because he is such a wonderful example of hypomone, the perseverance of the saints. Since I’m pretty sure I voted for Schereschewsky back in 2014, and because I’m big on ecumenism and seeing all of life as liturgy (or at least trying to), and because he’s losing, I voted for Nikolaus. But if Samuel wins, I’ll be very happy for someone who translated the BCP into Mandarin. This one’s excruciating! Both astounding people. I had never heard of either – this is why I love Lent Madness. I finally went with Schereschewsky because I cannot help but be awe-stricken by his courage and perseverance to continue to write in the face of near-total paralysis. And that was on a pawky, stiff-actioned manual typewriter! You stumped the jock. I had to look up “pawky.” It means “cunning, sly.” Perhaps “balky” would be more literal, but I like the idea of a recalcitrant, mulish typewriter. I knew that Schereschewsky would win, but I had to vote for von Zinzindorf because our congregation of the Reformed Episcopal Church shares a facility with (rents from) a Brethren (Unity of the Brethren) church. We have a wonderful relationship with them. Von Zinzindorf would applaud our ecumenism. My grandparents having been missionaries in China for some 35 years, I have done quite a bit of research on the history of mission there, and knew about Schereschewsky before he came up here. I didn’t vote for him. He was a devoted servant, there is no doubt about it, but really was not seen as someone who knew the Chinese nor understood mission. Nor was there much of a trajectory of impact for his work — mission didn’t really take off at all in China until missionaries started schools and hospitals there. The pure Bible-based mission work did not really make an impact. Also the lack of ecumenism in Chinese mission work was pretty sad. Therefore I voted for Zinzindorf. In 1969-70 I lived near Gramercy Park while doing graduate work at General. Near my home, on 23rd St, was a typewriter shop that, at the time, had an old Chinese typewriter on display in the window. It was, naturally, an extremely complex machine and I wonder if Samuel used such a machine (with one finger!) or if he used a standard American typewriter and one of the transliteration systems. Does anyone know? Am I allowed two comments? Discovering Zinzendorf’s connection to Methodism, I’m smiling. A few years ago the Evangelical Lutheran Church in America (the umbrella organization of my tradition) voted to allow “full altar and pulpit” fellowship, not just with the UCC and the Episcopalians and the Presbyterians but also with the Moravians, which apparently “we” recognized a long time ago as very near us in…what? Theology? I forget!! But I’m glad. I’m a Jan and an ELCA Lutheran from Bethlehem, PA. I’m also a graduate of Muhlenberg College in next door Allentown, PA. You may not know that Muhlenberg and Zinzendorf had a running feud on some fairly minor points, several of which were personal rather than theological.. It’s been said if they had not that the Moravians and Lutherans would long ago have been one church. Hi, Jan Miller! From Bethlehem, PA. I learned the same thing, I think in Old Salem. That was a wonderful experience, first learning about the Moravians. Golly, but they were clever, and industrious. Imagine, running water in the houses…in the 1700’s, via wooden pipes. I was VERY impressed by the technology they figured out and used, not just about water, but other things too. Plus, naturally, the way they “did” Christianity…. A+ trolling of both saints. Ha ha ha! Too funny! And a priest and a bishop too. If I could be like him too! Admire Nik but had to go with Joe! We need a publication of all these limericks and poems. It would be a great seller in the Lentorium! I cast my vote for Zinzendorf. All the limericks are great! Thanks for making me smile. Voter #6216 checking in here. (And do I get a tin halo for reading all 234 comments before voting?) Loved all your comments, but finally went for the Moravian whose theology and world view I share. Let this prayer be gladly expressed! A shout out to my Patron Saint, Joseph of Nazareth, on this, his feast day (transferred from Sunday). Thank you Harlie – or is it Harlie Joseph – for the shout out. Went to St. Joseph’s Carmelite Monastery to Mass this morning in Korona Fl which is near Ormond Beach. Wonderful! I promised to return with a limerick and here it is. “task” in line 2 is a verb, and there’s a stress on “his” in the last line to contrast with Saul/Paul’s moment of illumination on the (literal) road. Saw Christ’s light on his road to Damascus. I vote for the good bishop. His is the only life story among all the saints that never fails to make me cry. I can’t help it when I think of him typing away with one finger. Against anybody else, it would have been Zinzendorf, hands down. A limerick we’re called to invent. Two saints, both bishops; one Jew. But Joe leads by 69%. I was all set to vote for Joseph but when I read that Zinzendorf had composed the Moravian Blessing, I voted for him. We use that as our family blessing for special occasions. I even did a cross stitch of it for our dining room! Good to see St Sam looking like a winner. Anglicans informally claim him as the Patron Saint of Internet Mailing Lists, although he does have an official Feast Day. He was ordained at historic St George’s which still stands today off Stuyvesant Square and it remains a vital and energetic parish in Manhattan. After paralysis left him with only one finger able to use in typing his Bible translation into Wenli, he thanked God for the work which God had fitted him to do. Thank you for celebrating this remarkable man! For one’s saint one may not vote twice. One bishop ate Schnitzel; the other ate rice. How can Joseph be winning when most comments here are for Nick? I suspect some foul play! Shereschewsky – Zinzendorf: halo contest!